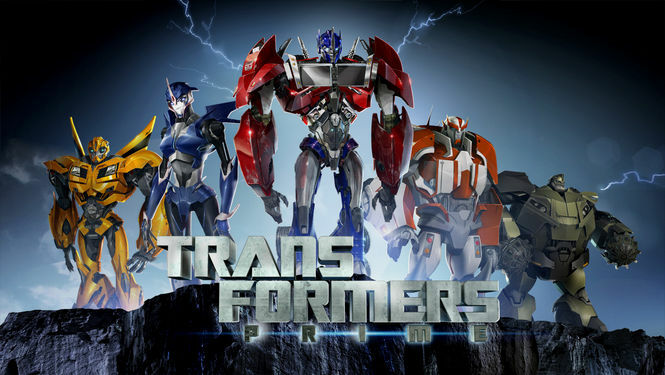 Transformers Prime: Season 3 Sneak Peak, "Autobot Hunter"
A brand new clip from Transformers Prime: Beast Hunters (Season 3) was just released a few days ago, and all I can say is "Holy Primus..."
Let's do a little recap of the last season. The last hope of reviving Cybertron is destroyed, Optimus Prime is "dead", the Autobot base is completely destroyed, the remaining Autobots are completely on the run scattered throughout the country/world (I don't remember. It's been a while, ok?) along with Jack, Miko, and Raphael, and Megatron has built a massive Decepticon base right in the middle of Jasper, Nevada with an entire army of Decepticons and Insecticons at his disposal. All caught up? Good. Now we go into Season 3 with Shockwave presenting his new "Autobot Hunter", and let's get right down to it. If even Megatron is scared by what's in front of him, I'd hate to be an Autobot. Having only basic knowledge of the Transformers lore, I have 3 theories. 1) It is a new form of Dinobot that we have not seen yet. Fans have wanted to see the Dinobots (particularly Grimlock) appear in this series for quite some time, and if there is one thing that the creators of this show know how to do, it's listen to the fans. 2) It is Devastator. "I am directly below the enemy scrotum". Yeah, him. But with dignity. 3) It is a "dragon-con". Back in the late 1990's, during the "Beast Machines" era (think Beast Wars 2.0) Megatron's animal form was actually a dragon, which was changed from his T-Rex form, so dragons in the Transformers Universe are not untouched territory. Either way, I'm incredible excited to see how this season will pick up-especially with the subtitle: Beast Hunters. Could we end up seeing some Dinobots after all? New information is proving that my third theory is in fact, correct....kind of. However, early released toys have revealed that the creature is in fact a creature standing 80 feet tall called the "Predaking", which is a combination of the five Predacons: Divebomb, Headstrong, Rampage, Tantrum, and Razorclaw. The Predaking is actually a character already established in the Transformers lore. Find out more information about the Predaking here.